Low height cylinders are designed to provide a solution for limited space applications. These cylinders can be considered as compromise between closed height and technical features. All industrial cylinders are manufactured to the highest international quality standards and will provide years of trouble free service. Hi-Force construction (or high tonnage) cylinders provide an effective and economical way of lifting, supporting or pushing extremely heavy loads or structures. Available in low height and standard version, with or without lock ring for mechanical load support, these cylinders are suitable for a wide range of applications. The cylinders are supplied in individual wooden boxes for transport and storage, and come complete with lifting eyes for easy positioning. Construction cylinders are available, within the standard range, with capacities up to 520 tonnes. Higher capacities can be manufactured to order. release outlet coupling. See page 104 for compatible high pressure hydraulic hoses. The Hi-Force AHP series of lubricant free air driven hydrostatic pressure testing pumps offers a choice of eight models with output pressure capacities ranging from 69 Bar (1000 PSI) to 2931 Bar (42500 PSI). All models are suitable for use with various fluids, including water and are supplied with a 150mm diameter hydraulic pressure gauge (calibrated on request), inlet airline filter & pressure regulator unit, lightweight fluid reservoir, pump start/stop valve and a robust stainless steel skid mounted framework. Optional extras available include pressure isolation valve. All units are of compact design with a maximum weight of 23 kg. Hi-Force hydraulic nut splitters are designed to easily split corroded nuts. The tools offer a cold cut for corroded fasteners where hot work is not permitted. The angled body design will provide access to flanges and flat surfaces, even in the most confined spaces. The HMNS models incorporate an integral hydraulic pump with multi-position (360 degree) lever. Hi-Force can offer hydraulic bench presses (6 models) and workshop floor presses (22 models), both of which can be supplied with a choice of pumps (HPB = air and manual pumps), HPF (air, manual and electric pumps). Both series have easily detachable hydraulic components making it an extremely versatile tool. Manufactured to the highest quality standards, the Hi-Force press range is suitable for the most demanding jobs. 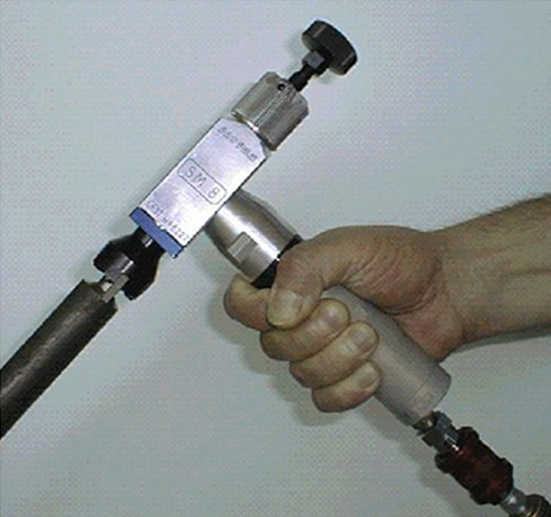 Hi-Force industrial torque wrenches are designed and manufactured to the highest standards. All models are ideally suited for applications requiring a repeatable, accurate torquing of bolts and nuts. The push-through square drive allows the wrench to be used for torque control in clockwise and anti-clockwise directions to loosen. These wrenches are also used in combination with manual torque multipliers. The TWHN drive cylinders in combination with the TWHN-RH ratchet heads offer a powerful and low clearance design hydraulic torque wrench, suitable for loosening and tightening nuts in the most awkward positions, due to the slim ratchet head, which fits directly on the nut. Each drive cylinder can be combined with a large selection of ratchet heads, giving the user maximum flexibility. Reducer bushings are also available to decrease sizes of existing ratchet heads, without great expense. Further options include square drive conversion kits. The air-powered SM8 mini bellever is a very robust and reliable portable weld-end preparation tool. It performs repeatable quality weld preps on most metal pipes and tubes including carbon and stainless steel, duplex and super duplex, inconel etc from 8 mm ID to 30,5 mm ID. The cutting head will bevel, face and counterbore individually or in a synchronised operation. The SM8 is easily installed on all pipes and completely torque accepting (requires no holding device for machining). The Protem SM8 unit requires only 5/8'' minimum clearance from the pipe centreline, thereby allowing precise machining inside restricted working areas. The PROTEM SE219 has been especially designed and engineered to face and bevel tubes from 60.3 mm up to 219 mm OD. Its design and unique working range makes it the best tool in its class. The stainless steel or aluminium collet and its front support allow a perfect clamping and squareness without deformation for orbital welding. 4 standard HSS tool bits can be mounted on the tool holder plate to work simultaneously. 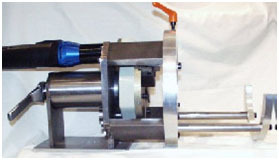 This tool is ideal for sanitary tubing, food processing and chemical and pharmaceutical applications. The SE219 can be mounted either with an electric or a pneumatic drive. 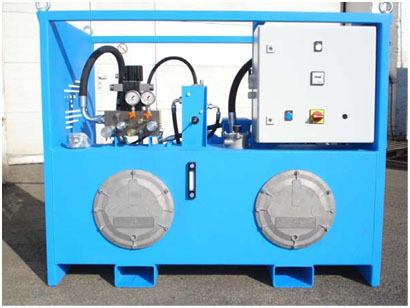 The hydraulic power units feature the new generation of hydraulic power units while taking into consideration the real working conditions of the operators. They are completely closed framework reduce the level of noise drastically and protects the unit against unfavourable atmospheric field conditions. The electric BB machine can be used either on-site or in the workshop. This heavy duty beveller will bevel, face and counterbore individually or simultaneously heavy wall pipes. It will perform repeatable high quality weld preps on most metal pipes including stainless, duplex, super duplex from 3” to 24” outside diameter (88.9 mm OD up to 610 mm OD). The machine is a bench beveller, can be fixed or not on the floor, is easily installed and clamps the outside diameter of the pipe. It can be easily operated by one operator. Used with the optional profile tracking device, it will machine oval pipes, leaving a root face of a consistent width, which is required when using orbital welding heads. The PROTEM US600-R is a transportable machine which can perform bevels from 600 mm up to 1000 mm (version 1) or 1000 mm up to 1500 mm (version 2). The US600-R is able to perform weld preparation (J-prep, V-prep, compound bevel…) with repeatable high quality, on carbon steel, stainless steel, alloy, inconel, duplex, superduplex… The US600-R is using standard carbide inserts, and can bevel easily up to 4" wall pipe. 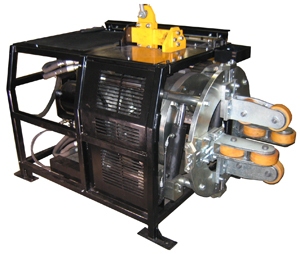 The machine is hydraulic driven connected to a 22 kW power pack. The hydraulic driven PROTEM PFM US-HSB tube and pipe beveling machines can be used either on site or in your prefabrication workshops. 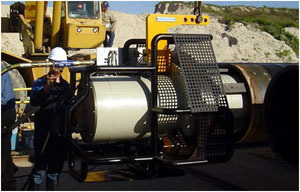 The PROTEM PFM US-HSB beveling machines are transportable, easy to install and will be clamped into the inside diameter of the pipe. These versatile machines will perform I, V, J, compound bevels, couter boring works on most materials such as stainless steel, carbon steel, and all exotic alloys such as INCOLOY, HASTELLOY, DUPLEX, P91 etc. 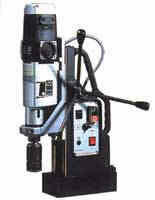 The machine PROTEM OHSB-C 6-14 is designed to carry out bevels or compound bevels by copying. A carriage with hydraulic radial movement, mounted on the tool holder plate enables to perform bevelling works while using a copying cam. The tool holder is equipped with carbide plates. Maximum wall thickness of tube: maximum 60mm on a height of chamfer lower than 30 mm and a maximum angle of 37°. The carriage is provided with a copying roller acting on the internal diameter of the tube. The PROTEM TNO tube severing and beveling machines are especially designed to fit your piping or tubing prefab applications on site or in workshops. These machines sever and bevel heavy wall pipes faster than any other machine. 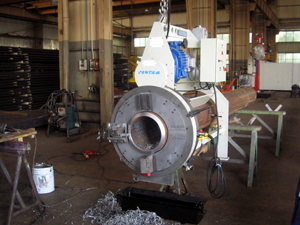 They allow to increase drastically your productivity by avoiding grinding and/or flame cutting operations, difficult handling and setting of pipes on a lathe. They are transportable, rigid, very fast and accurate. The SERCO machines are positioned and locked by means of a column / arm system fixed on the outer part of the part to be machined. 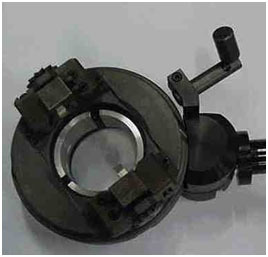 This clamping principle allows to perform internal machining works. The set-up of the machine is easy and fast. The SERCO TU 200 unit can be adjusted very accurately (concentricity and parallelism with a 1/100th mm precision). Machining accuracy: an accuracy of 1/100th mm with Ra up to 1.6 can be achieved. The machine type PROTEM TTS-RD has been specially designed to perform cuts within limited clearances. The TTS-RD design, opening into two half shells, allows it to be set up on existing closed loops. Clamping by means of collets allows a quick set-up and an easy concentricity adjustment. The tool holders have been designed to remain in the ring overall dimensions. This machine allows to perform high quality weld preparation (orbital) on all types of tubes (steel, stainless steel…). This series of robust forged Steel Clamps is designed for Pipe to Pipe or Pipe to Fittings. The WT Steel Clamps are electro galvanized, and assure fast and effective clamping. object to be welded and corrosion will not occur. clamping force of 2500 kg. 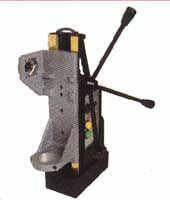 The clamps can be used for several pipe dimensions, simply by removing the jack-bars. The jack-bars are made of stainless steel on all our clamps. All clamps can be used for pipe dimensions from 5". wall-thickness up to 20 mm. Easy to use and a guarantee for perfect clamping of the Pipes before welding. loose parts, and you will have no need of using adjusting tools. The new patented Purge Gas Equipment EZ-Purge is used from 20mm ID up to 215mm ID. seal. It is very user friendly and easy to push, pull and position in any Pipe or Fitting. 52mm to 219mm with a standard length of 180mm and this can also be supplied in 250mm. prevent burn/damage from the arc. The Basic Unit can stand up to 450°C. The Purge time is under 2 minutes for all dimensions. a cylinder that will save on gas consumption. welds and precise torch guiding. coolant are passed over by a rotation coupling. automatic single or multi pass welding cycle. Tube Expanders fitted with 5 rollers are available for expanding thin wall and titanium tubes. stubs up to 11/4" (32mm) O/D. • A self tapping spear which is screwed into the tube stub. • A hydraulic pull cylinder which is connected to the spear. sizes up to and including 11/4" O/D. oil rigs, petrochemical installations, sugar refineries etc. tooling as the TP2000E and TP2000P. A sturdy, technologically-advanced machine with 1050 Watt German Motor with variable speed and overload protection for high-quality, low-cost drilling up to 50mm cutting depth. Designed for broach cutting, the MBE30 also quickly converts to drilling or countersink work and weighs only 13kg. Electronic variable speeds in two geared ranges, high-volume hole cutting from a compact 15kg unit. Using a no.2 morse taper German motor, the MBE40 can drill 45mm holes and combines outstanding performance with portability. This model is also available with a forward / reverse option which allows you to use this machine for tapping operations up to M16 model MBE40FR. A powerful 1600 watt unit, the MT50 features a constant torque motor with variable speeds in two geared ranges and has a torque setting and thermal cutout as protection for overloading during operation. 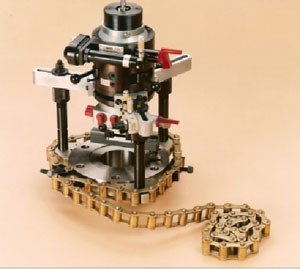 The no.3 morse taper arbor can be replaced with twist drills of up to 32mm diameter. Offering unique capability to cut large screw threads on site, the MAGTAP30 adds electronically controlled reverse drilling to the low-speed, high-torque AEG four-speed motor allowing precision drilling of holes in steel up to 100mm. The powerful magnetic base exerts a force of almost two tonnes, ensuring stability. A heavy-duty stand for most no.3 morse taper drills.